Look to B2C brands such as Innocent Drinks, Coca Cola, and Apple, and you’ll see tone of voice done right. We know their voices like we know the unmistakable fonts and colours so akin to their identities. 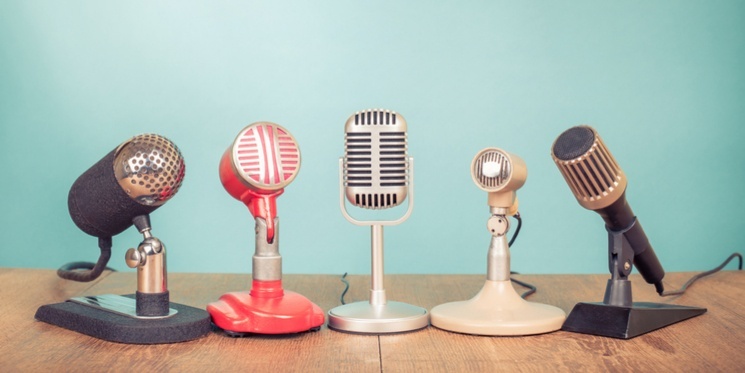 Whether it’s with distinctive simplicity, phonetic vocabulary, or inspirational language, each has mastered the ability to connect with their audiences in a parallel voice that yields trust and brand loyalty. Their values dictate every word choice, every message, and retains the recognisable personality that’s present in every packaging label, website page and social media post. This is a very easy feat for B2C marketers. Since customers are in charge of their own buying decisions, they’re more impulsive, susceptible to campaigns and loose with their cash. Quirky, whimsical turns of phrase encourage behaviours and nurture relationships. This equips B2Cs with the freedom to be broader and more daring, but this isn't a technique B2Bs should completely avoid. Tone of voice is not what you say, but how you say it. And that matters more in B2B communications than we perhaps realise. We’ve written previously about embracing your writing voice, and it’s equally as important for your brand to project some human demeanor. Your business is selling a product or a service to another business. But ultimately, it’s not the business making the decision to buy, it’s a person. Focused content helps you stand out from the interminable sameness of traditional B2B marketing, where lists of products, services and numbers are the usual fare. So, how do you craft a tone that helps you stand out of the crowd? Varying sentence lengths will inject cadence and rhythm into your copy and make it more enjoyable to read. This won't make you appear any less authoritative. If anything, it'll build and sculpt your tone, making you more approachable and recognisable as a business. Writing good content is about evoking a reaction, behaviour or emotion. Simply telling people why they should buy from you isn’t enough. Show, don’t tell your audiences why they should do business with you. Remember, your audiences should be able to recognise your communications in the absence of any branding or logo. It should be obvious who is speaking. This brings me to the next point. What is your brand proposition? Many B2B businesses think of "brand" as just their logo and the colours on their site. But a B2B brand means much more than this. You need to get to the heart of your brand's DNA. Consistency. Perhaps one of the most important features of your tone of voice. Steering away from your guidelines can cause dissonance and confusion, making your reader feel uncomfortable and disconnected from your prose. Consistency creates certainty and in turn, helps your buyers build trust in your brand. Thought leader or market leader - however you wish to position yourself - your tone should be demonstrable of your reliability and consistency. Continuity will come naturally if you’ve chosen attributes that are truly reflective of your brand. Don’t overthink it, and don’t mimic others. The minute you stop sounding like you, your potential and existing customers will question your ability to be a consistent supplier. Understandably, there will be variations in your overarching tone, dependent on mood, medium and audience. Consider the buyer's journey. A potential lead in the consideration stage will expect a very different communication to a repeat customer in the delight stage. The right amount of variety will complement your authenticity. It’s common sense really, but an established and well-practiced tone of voice will tie everything together effortlessly. A top tip to creating an engaging voice is to listen to how your customers speak. Read comments, visit forums, monitor your social feeds. Listen, (really listen!) to how they speak during meetings and conferences. Any opportunity you have, listen. Take your discoveries and implement them into your own tone. This way, you can be sure you're on the same wavelength when communicating, and you'll know which linguistic features make them tick. Maintaining authority and professionalism needn't preclude the use of informal language. But don't overdo it. You may not have the scope of our B2C friends, but you can use it in the right capacity to break down barriers and put your audience at ease. Tone of voice shouldn't be overlooked. Much like a logo is poured over, amended, tweaked and polished to perfection, your copy should be treated with the same diligence. It is a key component in your inbound strategy and content creation. The best business brands represent everything the company stands for, underpinning what their customers are looking for. If you'd like to learn how to identify your buyer personas and create a tone of voice that resonates and appeals, I highly recommend taking a look at our free Inbound Strategy Blueprint eBook. Nicola is a Content Strategist. With a degree in English Literature, a CIM Marketing diploma and six years’ experience in the industry, Nicola has a passion for content creation and analysing and optimising content across the full inbound spectrum for Equinet and our clients.